Holly Willoughby is always inspiring fashion fans with her gorgeous outfit picks on This Morning, Celebrity Juice, and in her every day life. And while the star usually opts for bold, printed dressers or skirts, she is also partial to the occasional sophisticated trouser, which she often matches with a chic and stylish blouse or shirt. And ahead of Tuesday morning’s instalment of This Morning, Holly wowed fans with a subtle but demure outfit option, when she wore a fashionable printed top paired with some elegant black trousers. It was the trousers that caught the attention of the team here at W&H, given that they’d make for the perfect addition to our wardrobe heading in to the colder months. The culotte-style trousers, from one of our favourite retailers, Hobbs, are as flattering as they are practical, cinching you in at the waist. 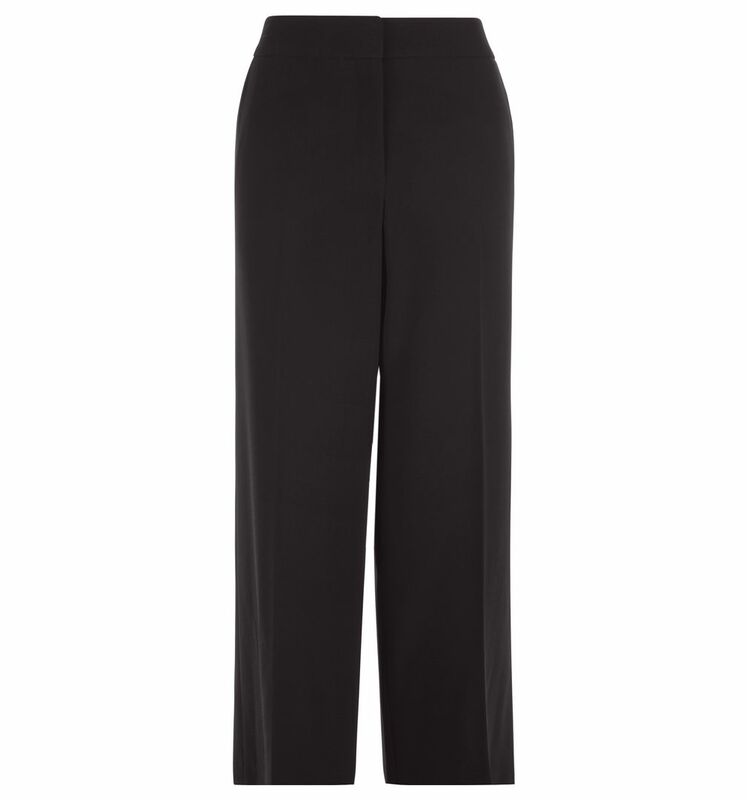 Plus, the flared leg style also works to elongate your frame, as does the cropped ankle detail. The neutral black colour also ensures that the trousers would work with almost any top or jumper – meaning you can dress the item up for the winter and the colder weather, or down for when we have a few sunny days. Holly’s Hobbs’ Lula trousers are available on the retailer’s website for £110 – so while they’re not cheap, we reckon they’d make for a great investment piece you wouldn’t regret splashing out on. At the moment, the trousers are predictably selling out in black after Holly was seen wearing them, with just a size 10 and a size 12 left available online. However, they are still available in all sizes – between a 6 and 18 – in the navy colour, which in our eyes is pretty much identical. But if you’re sold on the black pair, you may want to be quick and snap some up before they completely sell out!